I really like granola bars and power bars. Sometimes I can find it at a good price, but most of the time it can be rather expensive so I thought I would look for a good recipe online. 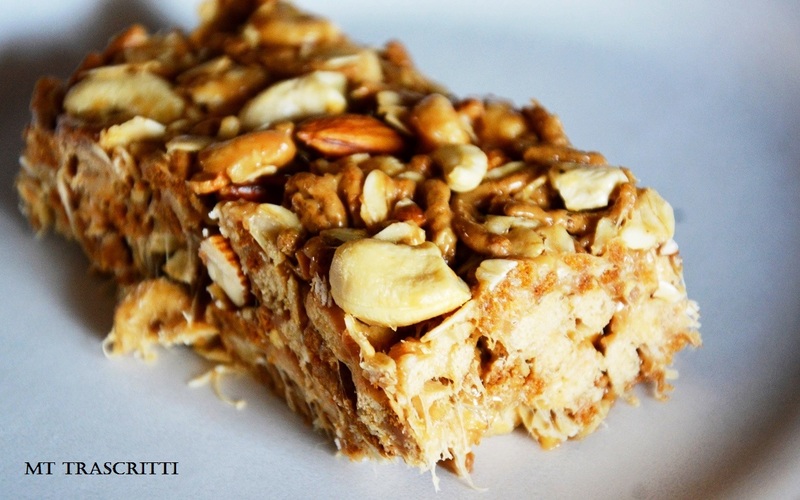 I found this one, but I wanted to change a few things: http://www.myrecipes.com/recipe/peanut-almond-snack-bars-50400000130039/. 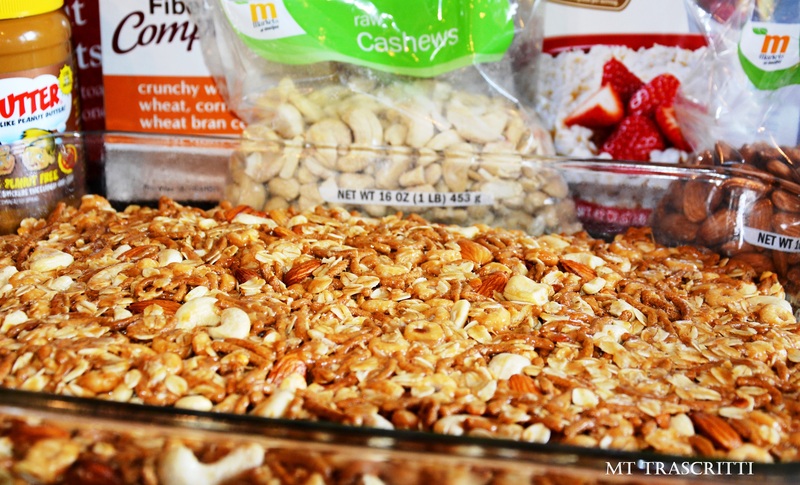 Margarine, soy butter (found it in the peanut butter section), honey nut oat cereal (instead of chocolate), “Fiber One” bran cereal (2 cups to replace the pretzels– I used a generic brand), raw cashews (1 cup to add crunch to the soy butter) and raw almonds, and no salt. I basically doubled the recipe, using a 13×9 Pyrex pan to set the mixture. It didn’t take long for it to set—about 20-30 minutes. There were things I should have done, like add salt to counter the sweetness of the soy butter and marshmallows. I also should have pressed the ingredients together more (I was able to cut it into cubes, but they were slightly loose). Romans 12:1, “…dear brothers and sisters, I plead with you to give your bodies to God because of all He has done for you. Let them be a living and holy sacrifice—the kind He will find acceptable. This is truly the way to worship Him” (NLT).